Ring in the Year of the Fire Rooster at Power Plant Mall! Exciting activities await you from January 21 to 29. Check out the Little Chinatown and the Chinese Art Exhibit in the mall all week. 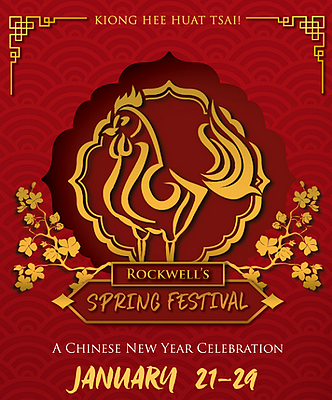 On January 28, witness the Lion and Dragon Dance at 10 a.m. and the Chinese Folk Dance, starting at 4 p.m. For an even grander celebration, sign up for the Chinese Art Workshops, from 11 a.m. to 7 p.m., and the Chinese Caricature, from 1 p.m. to 3 p.m.
For more information, log on to Power Plant Mall's Facebook page.